It's not accessible by car at all. It's a two minute walk from gate number three of Jama Masjid, and all the locals know where it is. I read about Haveli Dharampur on LBB, but it took a friend visiting from the States to get me to finally explore this stunning spot. Firstly, that a place like this can exist amidst the chaos of Chandni Chowk is a surprise! It's done up so well, without going over the top on decor. It's also a hotel, but non-residents are allowed to wine and dine at their restaurant. We didn't eat anything, but the drinks were awesome. Two hours of walking around in 40 degrees warranted a Rooh Afza margarita, a Hoegaarden, aam panna and shikanji nimbu paani. Their cocktails menu is kickass, and they've also got a fairly decent wine menu. 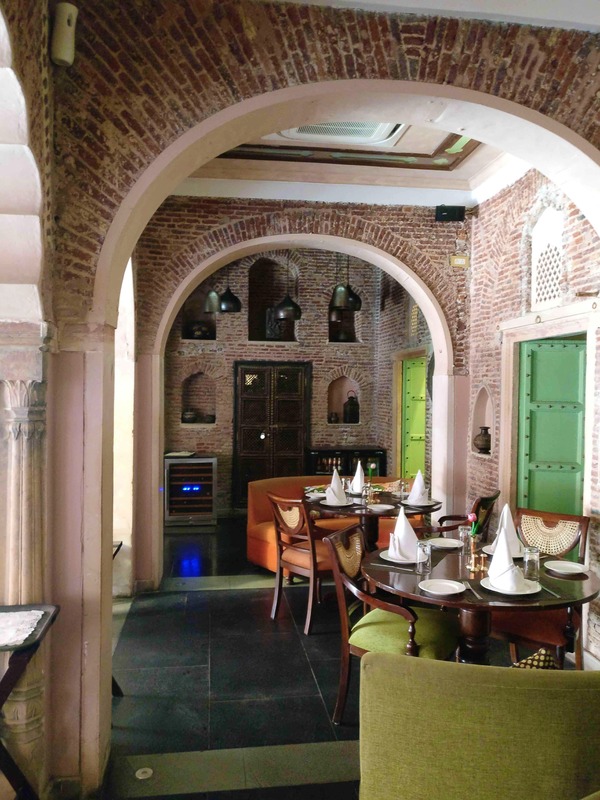 Not sure if I'd hike to Chandni Chowk just for Haveli Dharampura; but I'd recommend making a trip there if you're looking to spend your afternoon/evening doing something super unique, are in the vicinity, or find yourself wandering around Chandni Chowk.